On a more curiosity-related tangent, thanks to this week’s Hot Chips conference we finally have some good die shots of AMD’s Southern Islands GPUs – Tahiti, Pitcairn, and Cape Verde. For the last few years AMD has shied away from releasing die shots, due in part to the fact that with AMD releasing their GPUs months ahead of NVIDIA, they haven’t been eager to let NV see their GPUs up close any sooner than necessary. As a result we haven’t had the chance to see the physical layouts of AMD’s recent GPUs in great detail, at least until now. 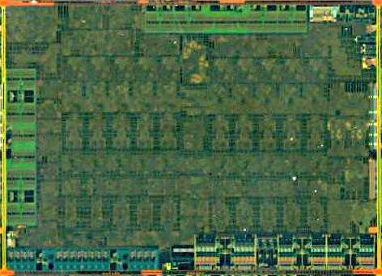 Note that these die shots aren’t strictly new – AMD has released much lower quality copies before – but these are the best copies to date, being large and clear enough that we can finally make out what most of the various functional units are. Just keep in mind that these die shots are meant for engineering purposes (and appropriated for slide decks) rather than publication purposes as official die shots are; so we’re thankful to have access to them at all. The first shot is of Tahiti, the GPU behind the 7900 series. For the first time we can clearly make out the individual CUs, along with most of the smaller logic along the bottom side. 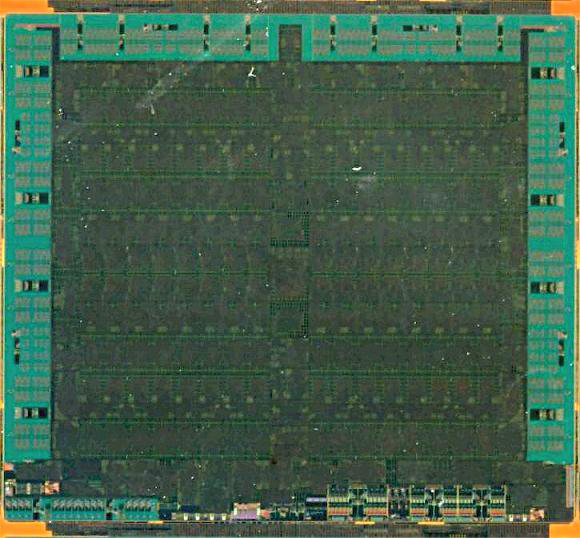 Our best guess is that AMD’s command processors (the dual ACEs) are at the center, though it’s not immediately clear where the newly decoupled ROPs are in this die shot. 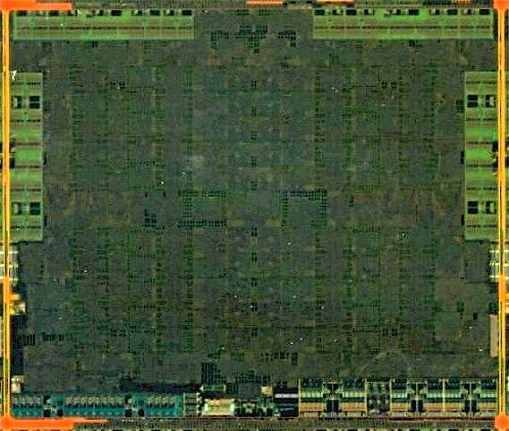 Meanwhile you can clearly see the memory controllers and L2 cache at the 3 edges of the chip. Up next it Pitcairn, the GPU behind the desktop 7800 series along with the mobile 7900 series. Unsurprisingly, Pitcirn looks a lot like Tahiti. It’s smaller overall, with the reduction in the number of memory controllers being the most apparent change. Finally we have Cape Verde, the GPU backing the desktop 7700 series and mobile 7800 series. Cape Verde is the smallest member of the Southern Islands family and also the smallest die shot. It is also the most unusual of the die shots, since Cape Verde is the only part with a single command processor. Even then, this puts the relative die size requirements of CUs and other logic into perspective. While fixed logic (PCIe controllers, video decode, etc) are a larger part of Cape Verde than Pitcairn or Tahiti, the vast majority of die space is still consumed by CUs, followed by memory controllers and ROPs.